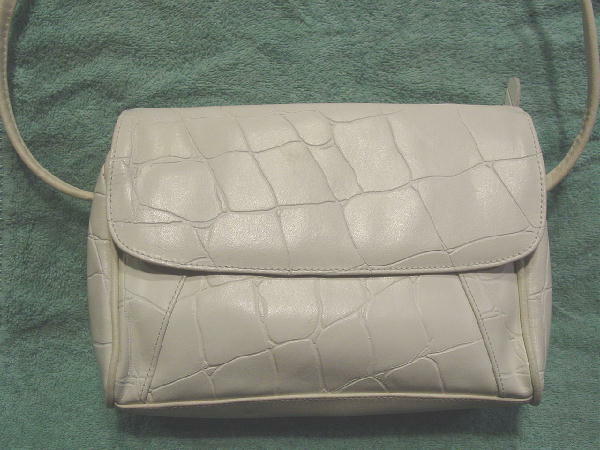 This white leather vintage purse has an embossed crocodile pattern. It has an envelope styling with the flap covering a top side to side zipper with a leather pull. It has a white fabric lining with a large zippered pocket. The interior flap lining has some age discoloration on the inner sides. 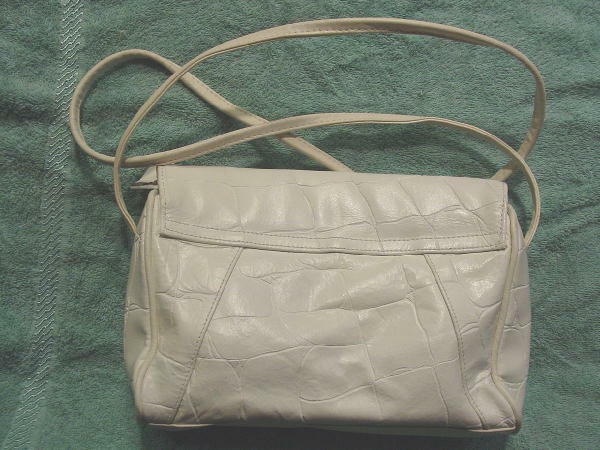 It has a 48" long by 3/8" wide leather shoulder strap which is in a slightly different shade of white, which matches the bottom leather. It's by A W Leather and was made in China.